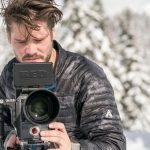 Mattias Vangelista is a skier and independent videographer. Making videos largely for personal reasons, he spends a lot of time filming on the snowy slopes. As a Soundsnap user, we invited him to do an interview, so we can find out more about his passion. SS: Tell us about yourself, where you’re from, and how long you’ve been shooting and editing video. MV: I’m originally from Glacier, Washington, which is a really small town about two hours north of Seattle. I’ve probably been shooting and editing for over 10 years at this point, but it wasn’t until about three years ago that I started to pursue it as a career. SS: How did you get started with video as your medium? What got you into it? MV: My hometown of Glacier lies right at the base of the Mt. Baker Ski Area, which is known around the world for its record snowfall. My dad was on ski patrol for over 20 years there and he and my mom had my brother and I on skis as soon as we could walk. We were on the mountain every weekend growing up and my brother and I religiously watched Poorboyz and Nimbus ski movies all year. Eventually, we started to try and make our own. We would take turns filming each other all day and then spend nights teaching ourselves Final Cut Pro. 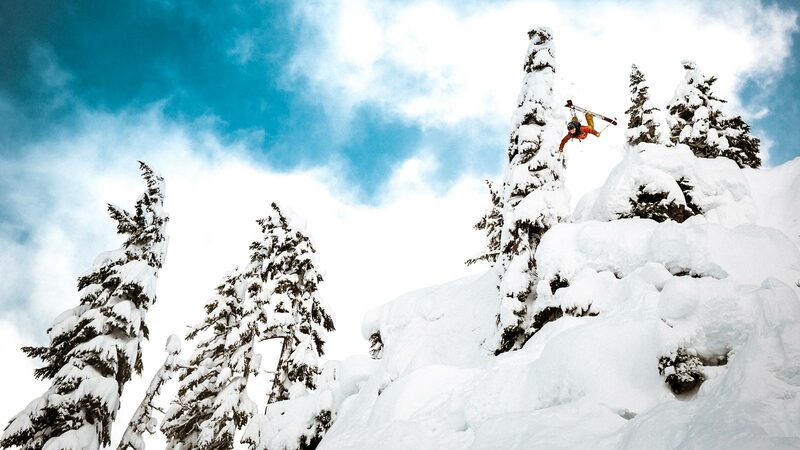 My brother, Micah, is one of the best up and coming freestyle skiers in North America. It didn’t take long for it to become clear that it made sense for him to focus on his skiing, and as a result, I started spending more and more time behind the lens. That was really when I started to focus on film and I’ve been doing my best to run with it ever since. SS: You seem heavily guided by your passions. What inspires you to make a video? MV: I really enjoy telling stories and sharing experiences. With all my work, I hope to create an emotional connection with whoever sees it. Currently, I’m really motivated politically. I’m very alarmed and disgusted by what the current administration is doing not only here in the US, but also around the world. I think now it’s more important than ever to try and shed a light on what’s happening and hopefully motivate and educate as many people as possible so we can try and solve this problem before it’s too late. I’m really hoping to work more in the political sphere over the course of the next few years. I think the way most candidates market themselves and run their media and campaigns is so archaic, that nobody gets excited to go vote for them. Alexandria Ocasio-Cortez just ran a great campaign in New York. For me, it was the first time I’ve seen a campaign really geared towards a new generation of voters. I would love to use my talents to help more people like Alexandria get elected in coming years. SS: Your video, ‘This Is Japan’ really captures what it feels like to go to Japan and experience the culture. What was it like being there and filming your experience? MV: Japan is one of the most amazing places I’ve been. The food, the people, the culture, just everything about the country is so unique and beautiful. Japan is amazing because there’s such an interesting blend of old and new. You see these building and traditions that are thousands of years old, but at the same time, you experience one of the most technologically advanced countries on the planet. When I was filming the ‘This Is Japan’ video I wanted to try and capture as much of that as possible. With most ski films I find everyone gets so caught up in the skiing they forget to document the parts of the country and people that really make the experience so memorable and unique. I went into making that piece with the mentality that I wanted to film everything because even the most mundane thing in Japan is still so far different from what we experience in the US. I really wanted to try and have the audience experience as much of the country as possible when viewing the film. SS: Did you come back with any crazy stories from your filming experiences? 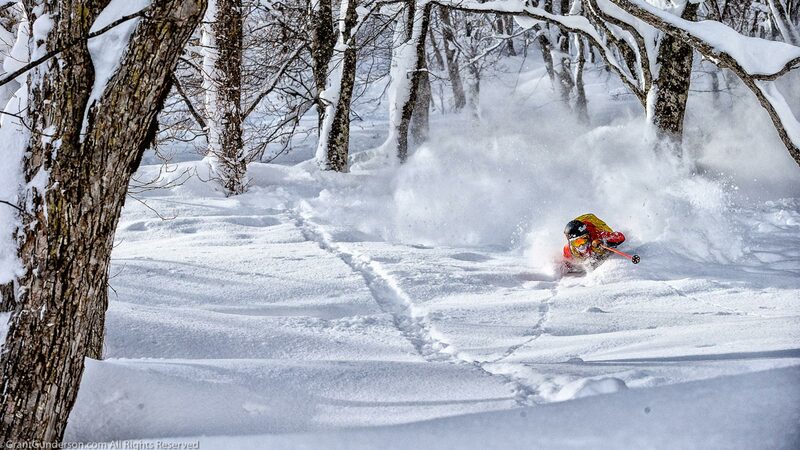 MV: The year I was filming the ‘This Is Japan’ video I was over there with a bunch of pro skiers. We showed up in this one really small town and we met with a full camera crew and reporters. They then interviewed us and took us on a tour of the whole town, I remember them opening up all these shops and restaurants just for us. I think we were the biggest thing to roll through town in years. SS: Your videos seem heavily influenced by your selection of music, but there is some subtle sound underlaid at times. How do you decide what should make sound and what shouldn’t? MV: Music has always been a huge influence for me, and whenever I make a video I feel the song is just as important as the visuals. Sound design is something I’ve been working on getting better at for the past year. It just adds so much to the video. I love anything that adds to the experience of an environment and makes you feel like you’re there when watching. My first time on the site I was just searching for this sort of “ominous drone tone” to layer behind the music and recorded audio. Soundsnap had exactly what I wanted and it’s been my go-to ever since. SS: What kind of camera(s) do you shoot on? What lenses and accessories do you work with? MV: I just bought a RED so I shoot primarily on that. I also have Sony A6500 that I use with a Ronin – M for “run and gun” stuff or if I’m working in tight quarters. SS: What’s it like filming skiers on the slopes? Are there any obstacles you’re constantly fighting? MV: Filming skiing can be such a love/hate relationship for me. Most of the time I love it because I’m out there with some of my best friends in these incredible locations, doing something that I really love. But at the same time, it’s one of the hardest things to film. The weather can change so fast so it’s always a battle to get good light, avalanches are constantly on your mind and you have to take great care to stay safe when shooting. Also, the very nature of trying to walk/hike around in snow makes everything more difficult. There have been times where I’ve only needed to move 10ft and it’s taken me 15 minutes because the snow is so deep. There are so many variables in the mountains that make it challenging, but also so rewarding when you get the shot. SS: What’s the most difficult weather condition you’ve had to film in? MV: There have been times in Japan where it’s literally snowing 6 inches an hour and the wind is blowing so hard it’s nearly impossible to see. A good rain cover is key! As are extra gloves! But usually, when it’s that bad I go shoot b-roll at the bar. SS: Any close calls getting injured or breaking gear on the mountain? MV: This past year in Japan, one of the athletes I was shooting, crashed into me really hard on multiple occasions. We were shooting in really tight trees and I was standing off to the side of the only exit, so I knew there was a possibility I’d get taken out. Luckily, RED makes really burly cameras so everything and everyone left unscathed. SS: What’s next for Mattias Evangelista? Are you working on new projects? Or taking commercial work? MV: I moved to Los Angeles last year, so I work and live there when I’m not on the road. I’ve been really fortunate to be able to work with Stept Studios here in LA. It’s a smaller production house with some of the most talented, hard-working, and fun people I’ve had the privilege to be around. Along with working at Stept, I’m currently editing another project from this past January in Japan that will be releasing this Fall. I also try and take on as much commercial work as I can when not busy with other projects.